I love baking and every weekend you can find me in the kitchen baking up a storm. Whether it's cookies or cakes there is something being done. My oldest daughter is just the same and I have a 3 year old who is addicted to cupcakes and cookies, so there would always be boxed mixes in my pantry. Quite unlike my mother though who can bake a perfect recipe from scratch, I cannot. I have to follow a recipe and even sometimes those recipes don't turn out quite as well as I want them to. I have had the average Pinterest fails like most people, you know the ones that turn out looking nothing like the recipe, no matter how good they might taste. Well all that has changed thanks to Perfect Bake from the Perfect Company and guess what?, we've also managed to cut out our boxed mixes too. The Perfect Bake is the one kitchen appliance that you need near you whenever you're ready to start baking. It makes baking easy, fun and completely foolproof. 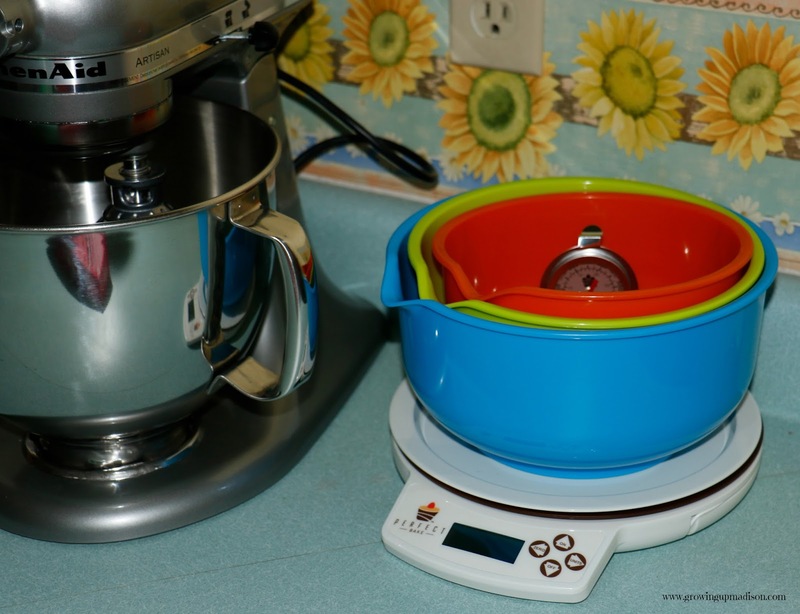 Included in your box is your smart digital scale, three color coded dishwasher safe mixing bowls, (there are no measuring cups and spoons needed ever, you can throw those away now), an oven thermometer and a phone/tablet stand. The free app is also included which has hundreds of delicious sweet & savory recipes and you can even add your family favorites. 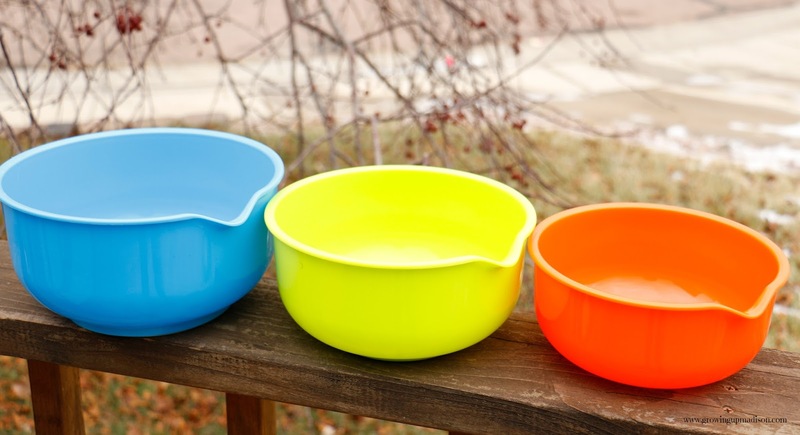 Since you no longer need any measuring cups or spoons you'll also be less messy and a lot more efficient. 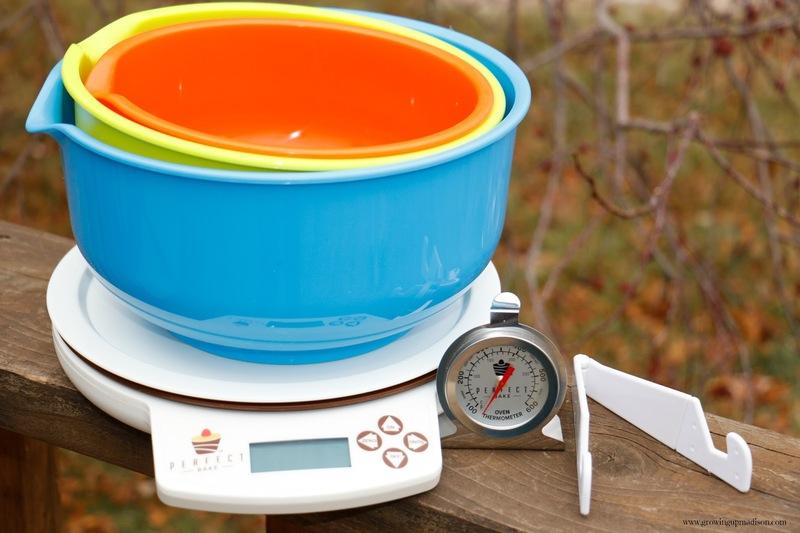 To measure ingredients, users simply place one of the included color-coded mixing bowls on the smart scale and pour their ingredients, wet or dry, directly into the bowl, while a virtual bowl fills up in real time on their smart device. The recipes on the app which you can download for free from the Apple App Store or Google Play on Android, on either your tablet or smartphone, are laid out digitally in easy to follow color coded blocks that takes you through the entire baking process. From the moment you prep your ingredients to the minute you take it out of the oven. Categories range from cakes and cookies, breakfast and ice cream, to gluten-free, sugar-free and vegan options. 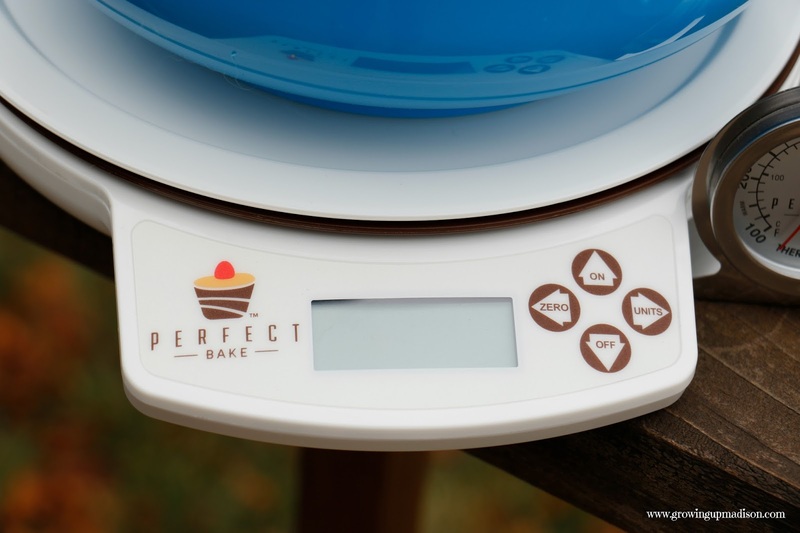 The Perfect Bake scale is perfection in itself and very easy to use. Simply plug it into your tablet or smartphone, load your app and you're ready to go. So far I've done quite a few recipes and the kids have said that they have tasted so much better. Even recipes that I have done in the past that I thought tasted great. No need to worry about rescaling because the app can do that for you if you change the serving size. There are even how-to videos to help you if you ever get lost along the way. The Perfect Bake now holds a permanent spot on my kitchen counter. I keep all the parts that I need in it so I can get start to baking when I want to. I'll never bake again without it. With Christmas fast approaching you can guarantee that anything that needs to be put into the oven will be done using my Perfect Bake. You'll also never buy boxed cake and cookie mix again! Just look how easy it was to make chocolate chunk cookie with Perfect Bake. Let's discuss: Do you think Perfect Bake would make you a better baker? This looks like a neat device. I am definitely curious! I need something like this in my life. Anything that makes my life easier in the kitchen is greatly appreciated. I love it! It reminds me of Easy Bake Oven for adults - meaning a way to make cookies when you're not so baking inclined but want to be. My son was just telling me that we need a new kitchen scale. This one looks awesome. What a great gift idea this would make. I have several people that love to bake and cook in my family. This sounds like something all bakers should have in their kitchens. And it's pretty too, which always looks nice on the kitchen counter. Now this is cool. I could try so many different recipes using this system. It would make measuring easier for sure. This is a really nice concept and perfect for people like me that need all the help they can get in the kitchen. I love this idea for myself and a few of my friends. Neat! This looks like such an amazing kitchen gadget. I love it. This is pretty cool! As a baking family, I'd love to get my hand on this. May make this a holiday gift to Mom! I love to bake. This would make measuring ingredients so much easier. I would love to give it a try. I would love to get this for Christmas. I am always looking for ways to make baking easier. 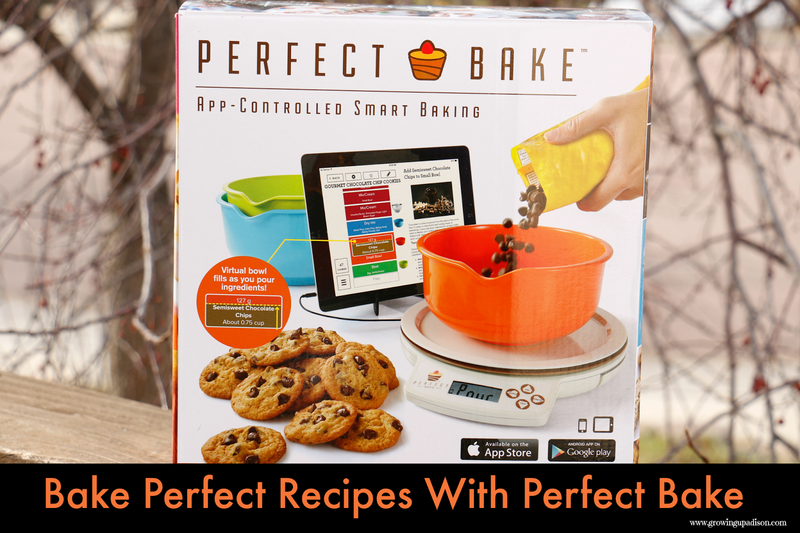 The Perfect Bake looks like a wonderful product & I love that you can manage everything with an App to make it all easy. Would love to have it in my kitchen as well. I just finished baking a batch of red velvet cupcakes and another Fruit Cake. Measuring is such a hassle. I wish I could have used the perfect bake. What a cool way to save time in the kitchen! I would love to have one of these!